Art Market | In 1989, not only did the exhibition “Magiciens de la Terre” reverse prejudice but it also predicted an emerging art market. From 2004 to 2007, Africa remix, an itinerant exhibition led by curator Simon Njami, presented the continent’s plurality as a vital strength. 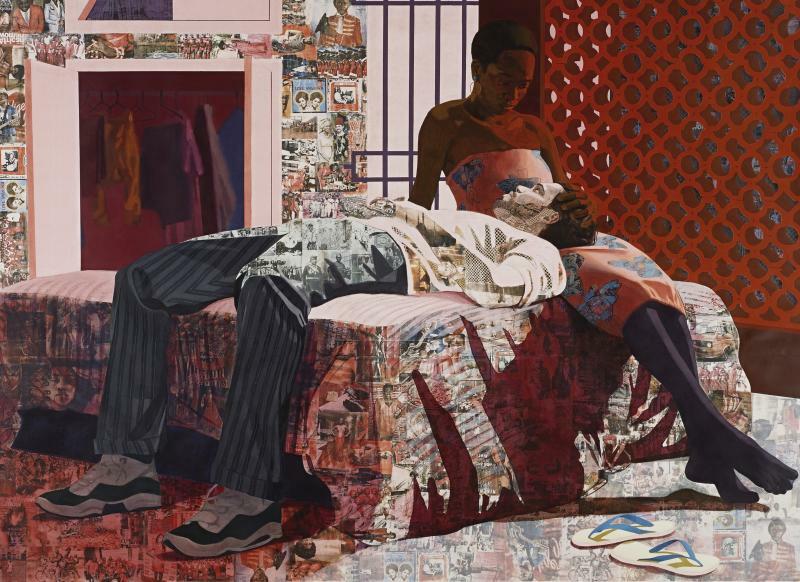 The renowned exhibit, which has travelled between Düsseldorf, London, Paris, Tokyo, Stockholm and Johannesburg, altered the contemporary art ecosystem, which started articulating new market structures dedicated to the African continent. Although African art is already represented in major events such as FNB Joburg Art Fair (one of the continent’s leading art fairs), Cape Town Art Fair in South Africa or LagosPhotos Festival founded by Azu Nwagbogu in Nigeria; in recent years we have witnessed the emergence of foreign fairs dedicated entirely to contemporary African creation. Founded in 2013 by Touria El Glaoui, 1 : 54 Contemporary African Art Fair takes place in two of the art market’s most dynamic capitals : London and New York (since 2015). The Parisian fair AKAA (Also Known as Africa) which was created in 2016 by Victoria Mann, gœs beyond art and opens itself to the universe of African design. The success of the African art market is also revealed through the sales of specific auctions. In 2007, Bonhams auction house launched Africa Now, an annual sale divided in two events : Modern art in May and Contemporary art in October. In the past ten years, the event has achieved some important reference sales such as Arab Priest (1945) by Irma Stern, bought by the Qatar Museums Authority in 2011 for £ 3million, and Nouvelle carte du monde by Ghanaian El Anatsui, sold for £ 550,000 a year later. 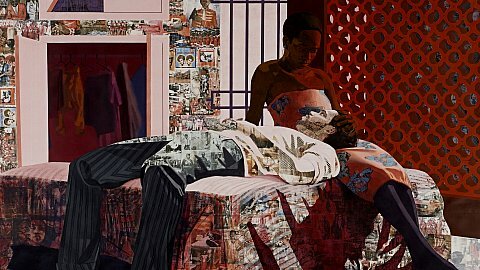 Artists whose reputation is already established or rising strongly in the primary market also benefit from a price increase in the secondary market, it is the case of Nigerian artist Njideka Akunyili Crosby, winner of the 2014 Smithsonian American Art Museum’s James Dicke Contemporary Art Prize. The artist’s achievement had an effect on the auction market, which was reflected in the sale of her work Drown (2012) for $ 1,092,500 ($ 200,000-300,000 estimate) at the Sotheby’s New York sale on November 17, 2016. However, the primary market remaining relatively accessible, this type of phenomenon is an exception (ref. Art Market Monitor) ; for instance, at the Frieze Masters 2016, two drawings by Marlène Dumas were sold by Hauser & Wirth for $45,000 each. At the 2016 editions of Frieze London and Art Basel, the Goodman Gallery donated a photograph by Mikhael Subotzky from 2006 for $15,000, a photograph by Nigerian Ruby ​​Onyinyechi Amaze for $8,000, South African Walter Oltmann’s Caterpillar Suit IV (2016) for $28,000, Zimbabwean artist Kudzanai Chiurai’s painting Untitled (Office for the Enregisterment of Slaves, 2016) for $30,000 and the work No conciliation is possible I (2016) by Zambian Nolan Oswald Dennis for $ 3,900. 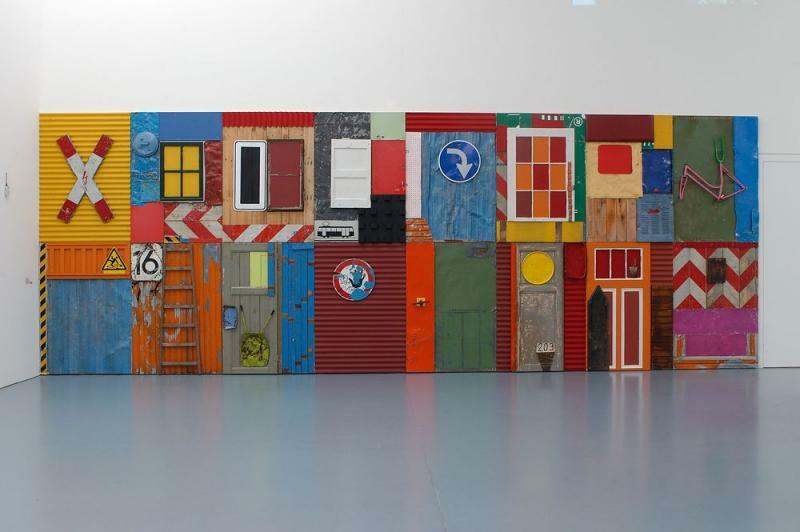 However, even though contemporary art from Africa is not considered a “market curiosity” anymore and many actors claim to have a dialogue on an equal footing with the West, African artists remain underrepresented in the global market. For instance, although seventeen African artists were presented in the acclaimed Magiciens de la Terre (1989) exhibition, only Congolese artists Cheri Samba and Bodys Isek Cinglez, Ivorian Fredéric Bruly-Bouabre, South-African Esther Mahlangu and Nigerian Twins Seven Seven have integrated the top 100 most successful African artists’ ranking, from the Africa Market Art Report 2015 edited by art dealer Jean-Philippe Aka. The situation will, however, evolve with the multiplication of events such as the 2017 edition of Art Paris Art Fair, which looks into the current African scene through the selection of seventeen galleries, eleven of which are from the continent. Through the direction of commissioner Marie-Ann Yemsi, the Fair provides a new approach on the continent, watch this space.